Designed by Robert Dougherty and Darwin Kastle. Published by White Wizard Games. Released 2013. For 2-4 players ages 12+. Plays in 20 minutes. Copy provided by publisher. 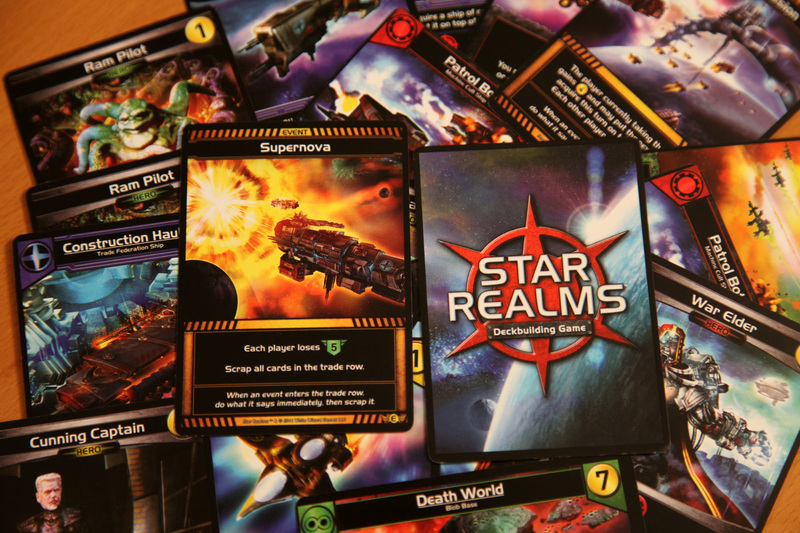 Star Realms is an entry-level deck-building game with a sci-fi motif that was successfully Kickstarted back in 2013. It makes a particularly good entry point for the genre because it's a simple two-player game, with only two resources to worry about; combat and trade. You'll use your trade to purchase new cards from the Trade Row to add to your deck, while your combat will be used to eliminate enemy bases and deal damage to your opponent directly. The first player to lose all "Authority" (health) loses. 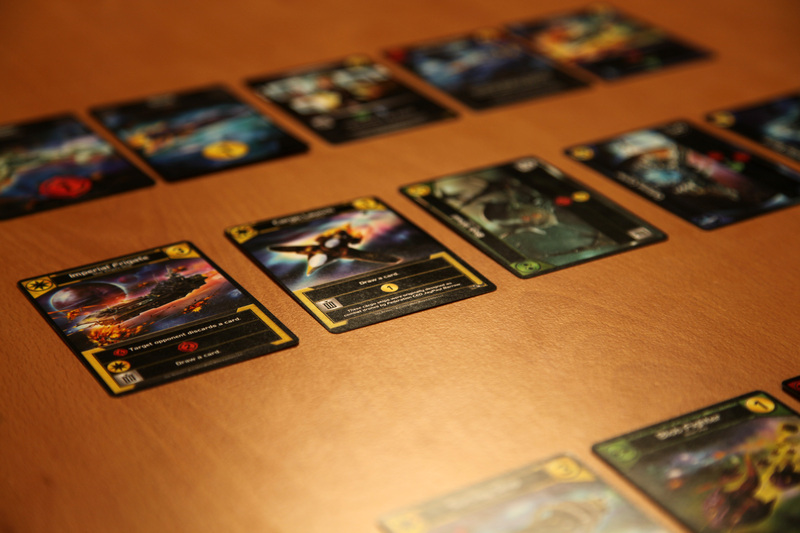 The replayability and deeper strategy of the game comes primarily from the Ally abilities of the four factions, represented by Yellow, Green, Blue, and Red cards. Ally abilities trigger if you play another card of the same color that turn. 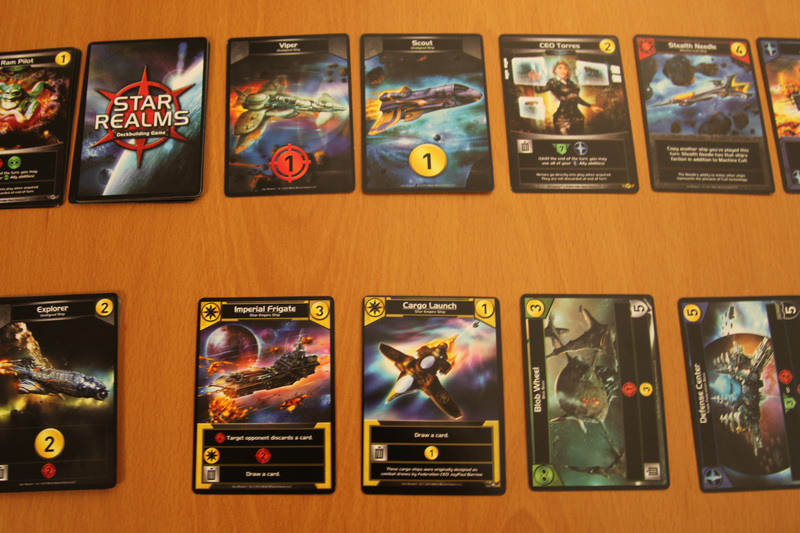 They range from drawing an extra card to choosing any ship in the Trade Row and acquiring it for free. The Ally abilities strongly encourage you to use cards of the same faction, to ensure the most value out of each card. Of course, you'll rarely be able to be so selective that you're only using a single faction, but staying focused on as few colors as possible is a great tactic for getting the most out of each card you play. Each faction has a mechanic associated with it as well. Machine Cult (Red) allows you to Scrap cards, removing them from your deck, and allowing you to always draw more powerful cards later in the game. The Blobs (Green) are heavily offensive, and can Scrap cards in the Trade Row that you don't want your opponent to get. Trade Federation (Blue) is all about boosting Trade and gaining health. Finally, Star Empire (Yellow) wants to make your opponent discard. And yes, I will hate you if you go Yellow. 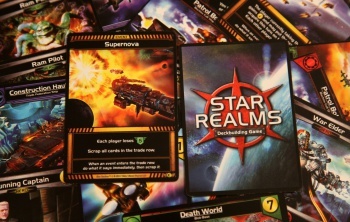 Bottom Line: Star Realms is delightfully simple to learn and play, to the point that even two newcomers can figure it out in a matter of minutes. There's a lot of luck involved, but the elements of skill will determine the outcome of a game nearly as frequently as the luck of the draw. The digital version has a remarkably intuitive design, so there are very rarely situations where you're unsure of what to do, or what might happen. It's got so much replay value that after beating the digital campaign mode, I've played literally hundreds of games against the computer, and dozens more online and in person. Recommendation: At $5-$15 it's definitely worth the cost of entry in either format. 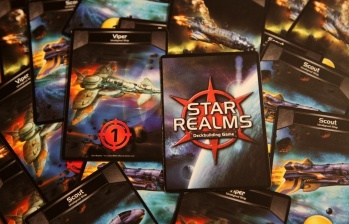 Crisis is the latest expansion for Star Realms, with different sets of cards being available via non-random booster packs. 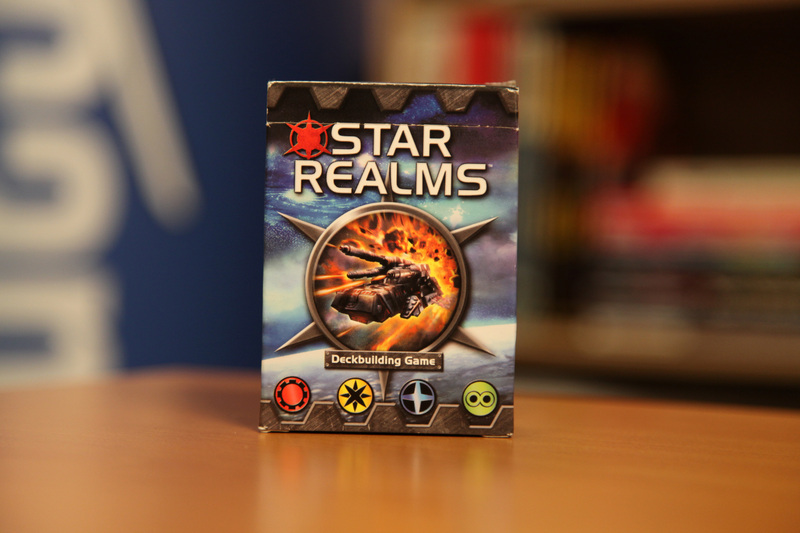 Each pack contains 12 thematic cards, evenly distributed among the factions. Some of these sets will have a major impact on the game, and others will hardly be noticeable at all. 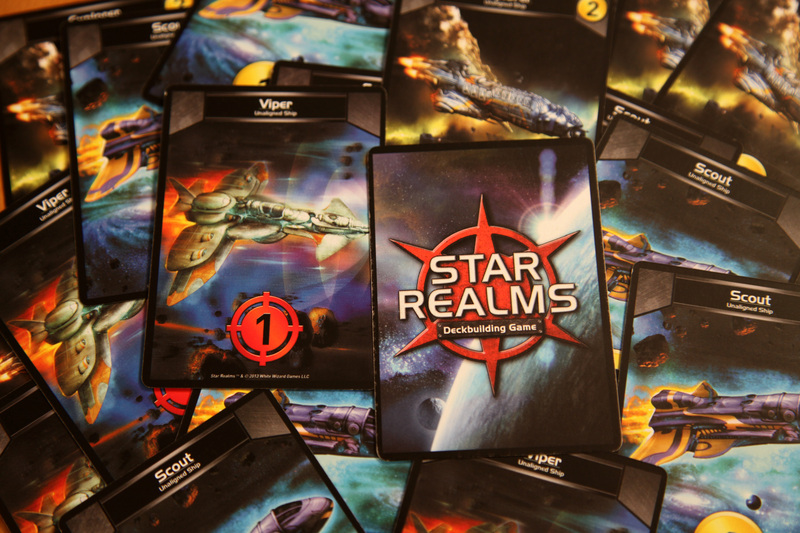 It's mostly up to you on whether you'd like a game changer, or just a minor tweak to your Star Realms experience. This set is far and away the least impactful set. The new Hero card type is Scrap-to-use, so you'll only get one effect out of each card. The primary function of the Scrap ability is to activate the Ally abilities of your other cards. The problem, of course, is that if you have multiple cards of a faction, they're already triggering the Ally abilities. If you have only one, you're only getting one benefit from the card. It's all around a minimal change to the way the games will play out, which might be good, if you like how the game functions as is. Other than the Ally abilities, each Hero has another one-off effect, which are universally underwhelming. Blue gets you health, while Green gets you combat. Yellow is Draw/Discard, and Red is Scrap. As a one-off effect, I'd wager that Red is your most powerful option here, since having low-powered Scrap cards later in the game is less than ideal. Heroes is very low impact, and won't really alter how you already play. This set will change your game much more significantly than Heroes. Each faction gets a new ship and a new base, all of which seem to be at least moderately useful/powerful. The power level on the Blue and Red additions here seem to outstrip the other factions a bit, but they're all useable. Red continues with the Scrapping theme, with Patrol Bot filling the 2-cost Scrap gap that currently exists between Trade Bot and Supply Bot. Offering a 2-Trade or 4-Combat option is remarkably useful as well, since there are so many 4-toughness Bases out there. The new Red Base, Border Fort, is repeatable Scrapping with Allies, with a respectable five toughness. Blue, however, might just be the winning faction with this particular set, as the new ship is akin to the Freighter. Customs Frigate costs 4, and allows you to acquire any ship costing 4 or less trade, and put it on top of your deck. The Ally ability adds 4 combat, which is often the sweet spot for taking down opposing Bases. Then, there's Capitol World. In the base game, there is no 8-cost Blue Base, so the addition of a 6-toughness Base that gains you six health and draws you a card every turn it's in play is particularly nice. 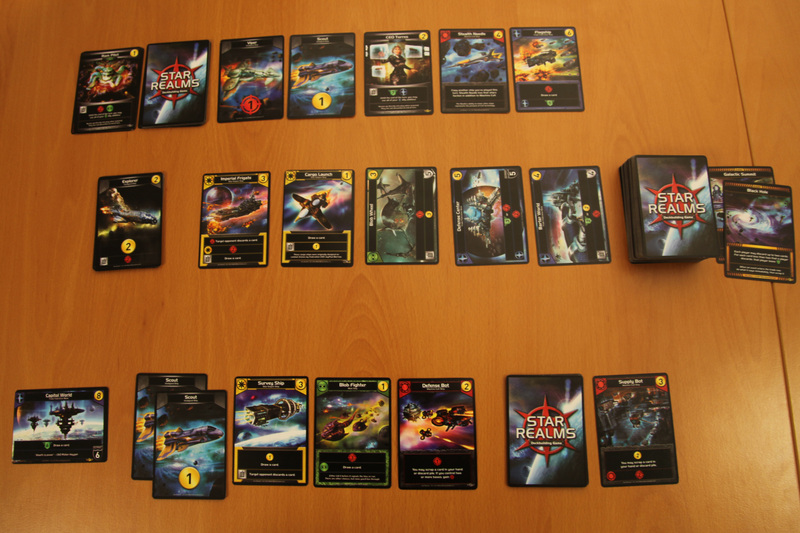 The Bases & Battleships set has a similar power level to the Fleets & Fortresses set, with relatively high-impact cards for each faction. There's a bit more diversity here, however, as Machine Cult (Red) and Trade Federation (Blue) both get all ships, while the other factions have a mix of Bases and Ships. That said, the factions seem to be a bit more balanced in this case, with no one color standing out as the clear power leader. If you've played with or against Embassy Yacht, you can probably appreciate the value of a many-base bonus, and Bases & Battleships offers more exciting Base interactions. Green's heavy hitter is Obliterator, costing 6 and gaining you 7 combat outright. If your opponent controls two or more Bases, however, you get an additional 6 combat, and the Ally ability draws you a card. All around devastating to Base-heavy strategies. Meanwhile, Red's 2-cost Defense Bot is fairly underwhelming on its own, offering only 1 combat and Scrap, but if you control two or more Bases, you get a staggering 8 Combat bonus. Blue's new high-value card is Construction Hauler, which is a tad expensive at 6 trade. What it brings to the table, however, is well worth the investment. You'll always get 3 health, 2 trade, and one card draw off of it, while the Ally ability allows the first-ever "put directly into play" ability for the next Base you acquire. The Events set is actually my favorite of the expansion, despite how powerful some of the other cards are. 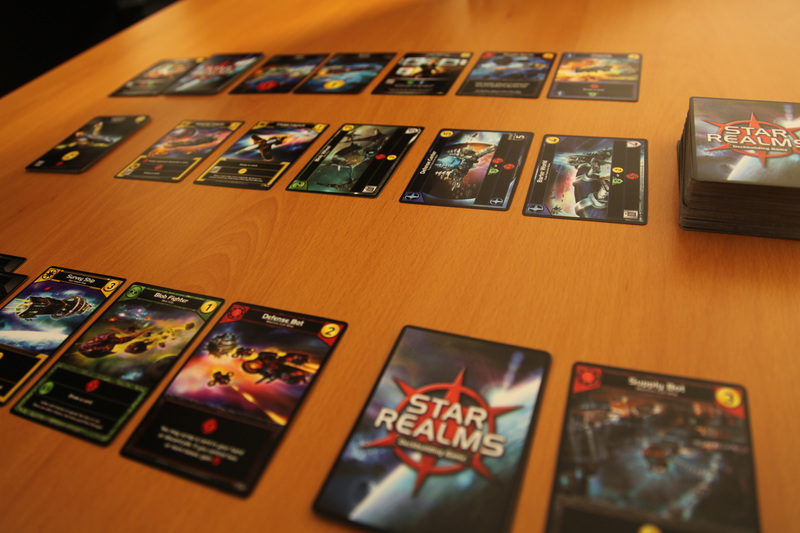 Events are a whole new concept for Star Realms, impacting the game immediately upon entering the Trade Row. Both players will get to have fun with every Event card that comes up, rather than going to whoever's got the Trade available and priority to act. Most of the cards have identical effects for both players, but Trade Mission is the odd man out. Trade Mission gives 4 trade to the active player, and allows them to put the next ship they acquire on top of their deck. The non-active player, meanwhile, draws two cards. It's tough to say which mode I prefer, but it's a really neat concept. The fact is that a balanced effect, like Quasar's "Each player draws 2 cards" can actually have different value to different players, depending on what stage of the turn the active player is on. If you're at the tail end of your turn and get two Scouts, it's not going to help nearly as much as the player who has those two cards from the outset of their turn. There are some interesting choices Events can create as well. Bombardment has both players either sacrifice a Base or lose 6 health, which can make for some very interesting choices, when you're deciding whether that 6 health is worth losing your Base. Similarly, Black Hole allows players to discard two cards, or take 4 damage for each card they hold on to. Sure, giving up a Viper is a good bet, but will you discard your Blob Fighter to save yourself 4 health? 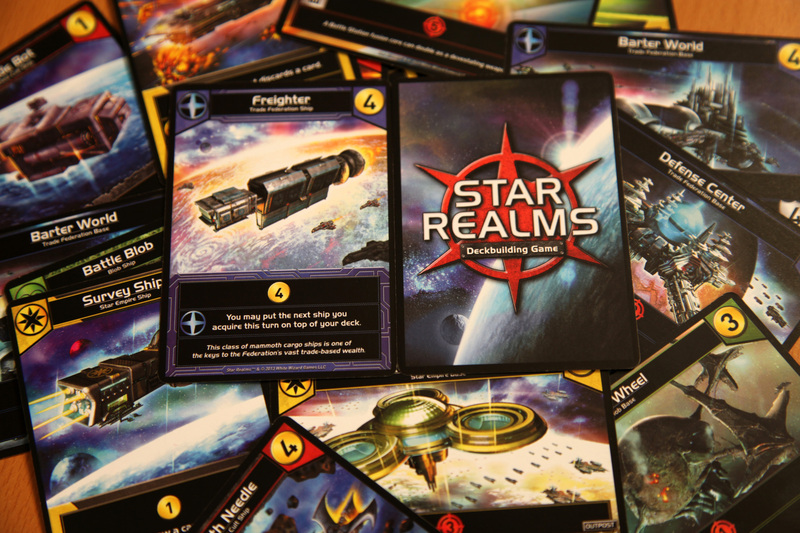 Bottom Line: The Crisis expansion set for Star Realms adds some fun new twists to the game, without overhauling the entire experience as you'll sometimes see with expansions. The modular design of Crisis is particularly compelling, since you're able to pick and choose just how you want to modify your game. Heroes is super low impact, for those who don't want to see much change, while Fleets & Fortresses brings a ton of new high-value cards for you to tinker with. Recommendation: At around $5 for each of the sets, you'll definitely appreciate getting the choose which packs you want, rather than being forced into the whole expansion.